Frutta will present a sequential exhibition, involving four curators: Adam Carr, Ilaria Gianni, Frances Loeffler and Valentinas Klimasauskas. Starting from a fixed point, a domino effect will be created. Each subsequent show, the different curators, will progress from the end point of the previous exhibition. 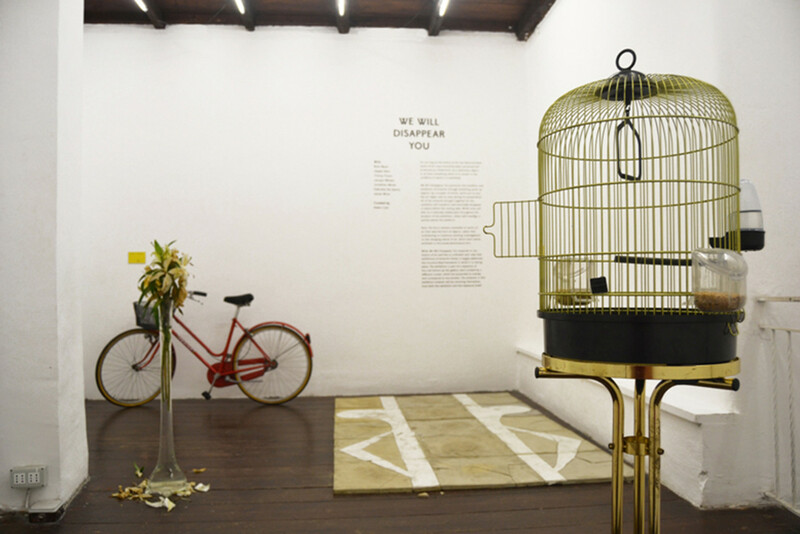 Each will pursue their own agendas, deliver to the viewer a new perspective and idea through the exhibition, but will continually leave traces of the previous exhibitions. 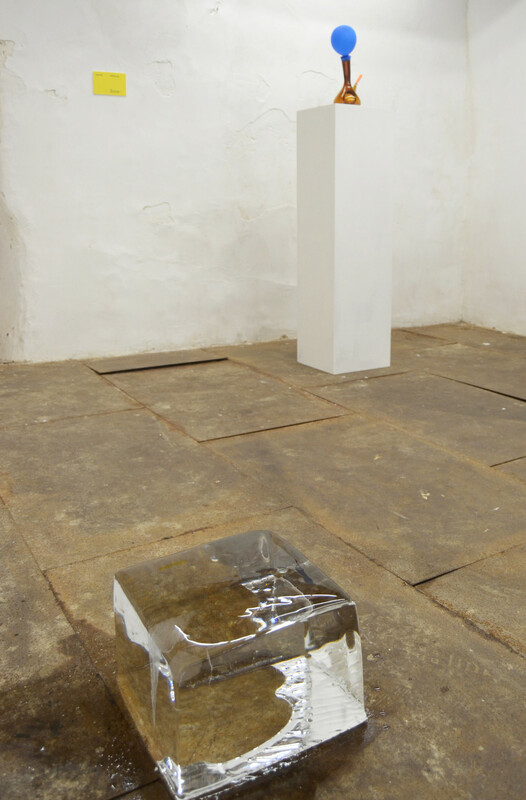 Featuring works by Nina Beier, Gabriele De Santis, Jeppe Hein, Timmy Foxon, Jacopo Miliani, Jonathan Monk and Jesse Wine. For as long as the history of art has demonstrated, works of art have commonly been conceived and produced as a fixed form, as a stationary object, or at least something which is to remain in the condition in which it is exhibited. We Will Disappear You questions the condition and exhibition of artworks through exhibiting works, by a number of artists, which put to test the art object and its time during its presentation. All of the artworks brought together for the exhibition will transform and eventually disappear or expire before the closing date. While some will alter at a relatively stately pace throughout the duration of the exhibition, others will transfigure quickly before the audience. Here, the focus remains resolutely on works of art that take the form of objects, rather than contributing to numerous existing investigations on the changing nature of art, which have mainly exhibited or discussed performance arts. 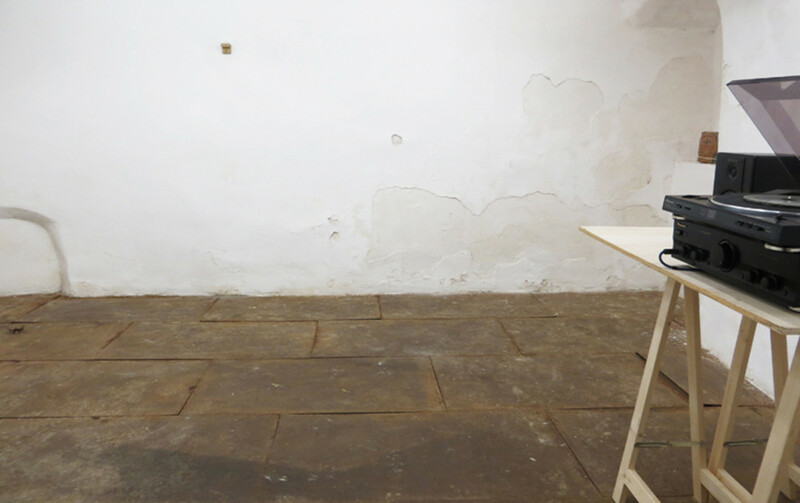 While We Will Disappear You responds to the history of art and the co-ordinates and rules that exhibitions of artworks follow, it largely addresses the circumscribed framework in which it is taking place. 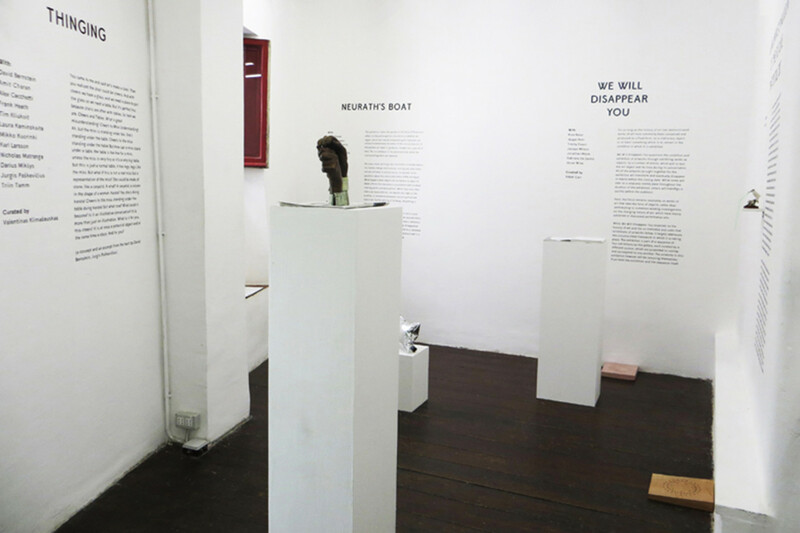 The exhibition is part of a sequence of four exhibitions by the gallery, each curated by a different curator, which are purported to overlap and correspond to one another. The artworks in this exhibition however will be removing themselves, from both the exhibition and the sequence itself. 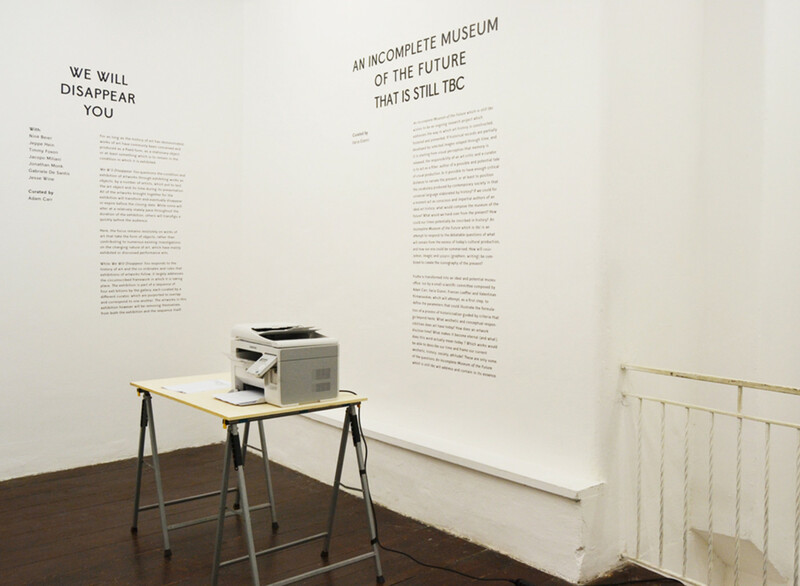 An Incomplete Museum of the Future that is still tbc wishes to be an ongoing research project which addresses the way in which art history is constructed, fostered and presented. If historical records are partially developed by selected images relayed through time, and it is starting from visual perception that memory is released, the responsibility of an art critic and a curator is to act as a filter: author of a possible and potential tale of visual production. Is it possible to have enough critical distance to narrate the present, or at least to position the vocabulary produced by contemporary society in that universal language elaborated by history? If we could for a moment act as conscious and impartial authors of an ideal art history, what would compose the museum of the future? What would we hand over from the present? How could our times potentially be inscribed in history? 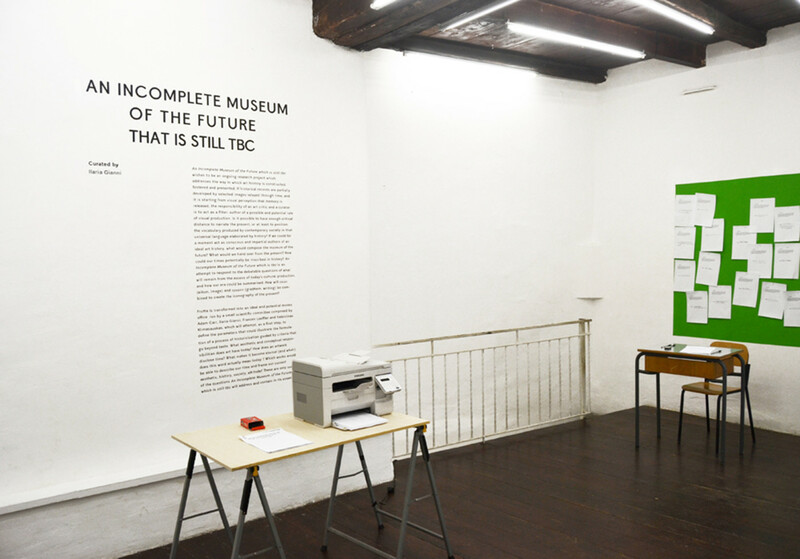 An Incomplete Museum of the Future that is still to tbc is an attempt to respond to the debatable questions of what will remain from the excess of today’s cultural production, and how our era could be summarised. How will εiκών (eikón, image) and γράφειν (grapheïn, writing) be combined to create the iconography of the present? Frutta is transformed into an ideal and potential museum office, run by a small scientific committee composed by Adam Carr, Ilaria Gianni, Frances Loeffler and Valentinas Klimasauskas, which will attempt, as a first step, to define the parameters that could illustrate the formulation of a process of historicisation guided by criteria that go beyond taste. What aesthetic and conceptual responsibilities does art have today? How does an artwork disclose time? What makes it become eternal (and what does this word actually mean today)? Which works would be able to describe our time and frame our current aesthetic, history, society, attitude? 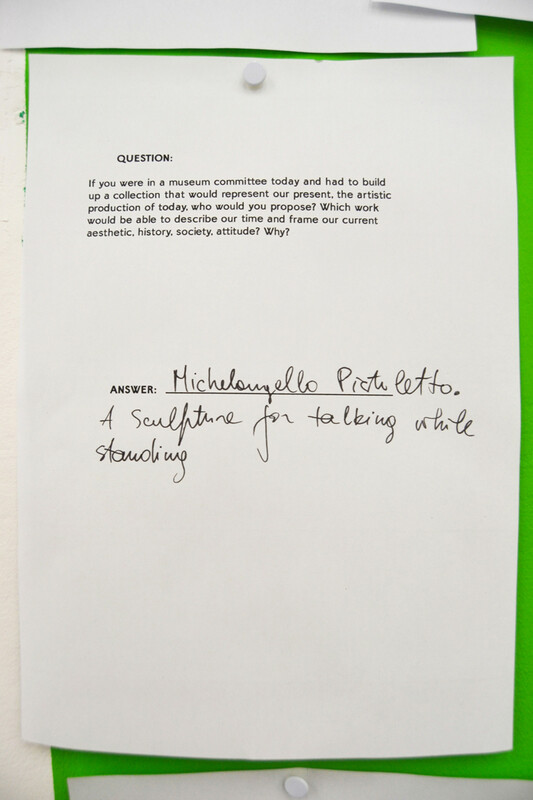 these are only some of the questions An Incomplete Museum of the Future that is still tbc will address and contain in its essence. Featuring works by Amit Charan, Jasper Coppes, Gabriele De Santis, Frank Heath and Francesco Pedraglio. This exhibition takes the parable of the Ship of Theseus to reflect on the philosophical conundrum of whether an object, which has had all component parts replaced, can remain fundamentally the same. In the various versions of the parable, an object is gradually remade over a period of time. The constellation of the whole endures, while the individual fragments are replaced. At a basic level, all things are constantly in transformation. Our bodies change continuously, turning over cells many millions of times. In artistic terms, the parable raises questions about the nature and status of the art object. What happens when objects do not behave as objects? When a finite form becomes a constellation with multiple starting points and destinations? While they retain their status as material forms, can objects also take on the qualities of immaterial processes, becoming fluid and transitive, like the activity of thinking, storytelling or conversation? The artworks in this exhibition allude to or are in some way implicated in this question of material reconstitution, often balancing between movement and stasis, sameness and change. 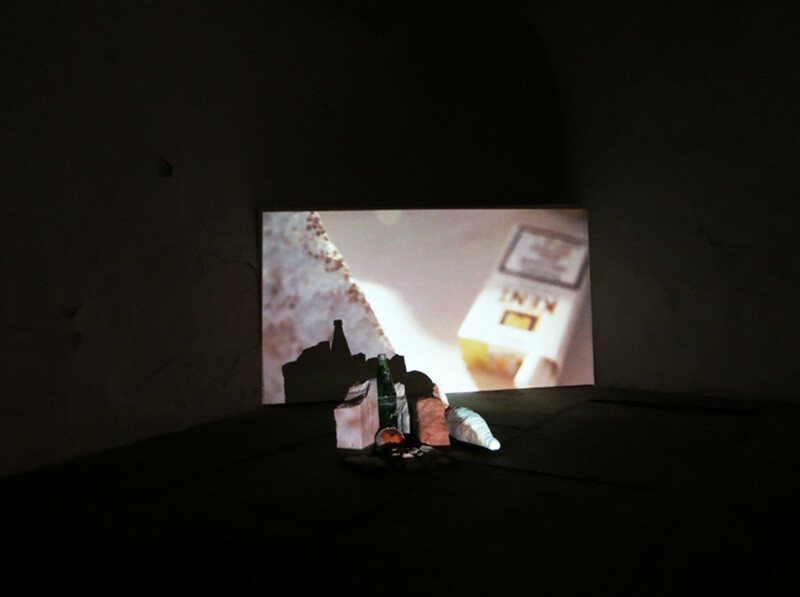 Forming part of a programme of sequential exhibitions, in which each curator responds to or develops their predecessor’s presentation, the exhibition itself is a revision, a plank replaced on the open sea. 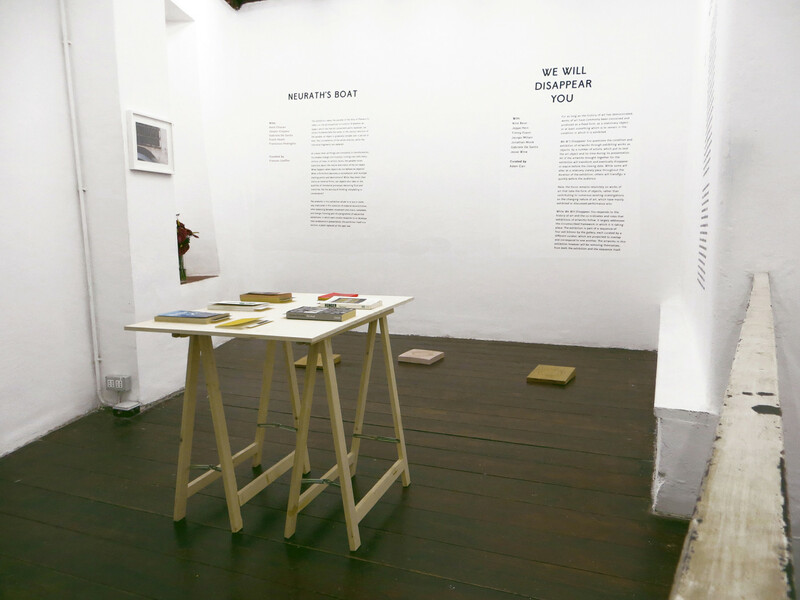 Featuring works, texts and interventions by David Bernstein, Amit Charan, Alex Cecchetti, Frank Heath, Tim Kliukoit, Laura Kaminskaitė, Mikko Kuorinki, Karl Larsson, Nicholas Matranga, Darius Mikšys, Jurgis Paškevičius and Triin Tamm. You came to me and said let’s make a chair. Then you realized the chair could be cheers. And with cheers we have a glass, and we need a place to put the glass so we need a table. But it’s perfect too, because chairs are often with tables. So here we are, Cheers and Tables. What a great misunderstanding! Cheers to Miss Understanding! Ah, but the miss is standing under too. She’s standing under the table. Cheers to the miss standing under the table! But how can a miss stand under a table, the table is too low for a miss, unless the miss is very tiny or it’s a very big table, but this is just a normal table, it has legs, legs Like the miss. But what if this is not a real miss but a representation of the miss? She could be made of stone, like a caryatid. A what? A caryatid; a column in the shape of a woman. Karate? Yes she’s doing karate! Cheers to the miss standing under the table doing karate! But what now? What could it become? Is it an illustrative conversation? It is more than just an illustration. What is it for you, this cheers? It is at once a potential object and at the same time a story. And for you?